I have with me copies of Canadian Voices Volume II that has my short story in it. Indeed, I'm proud, delighted and humbled. Write to me and get a copy today. I'll pass on the writer's discount to you. 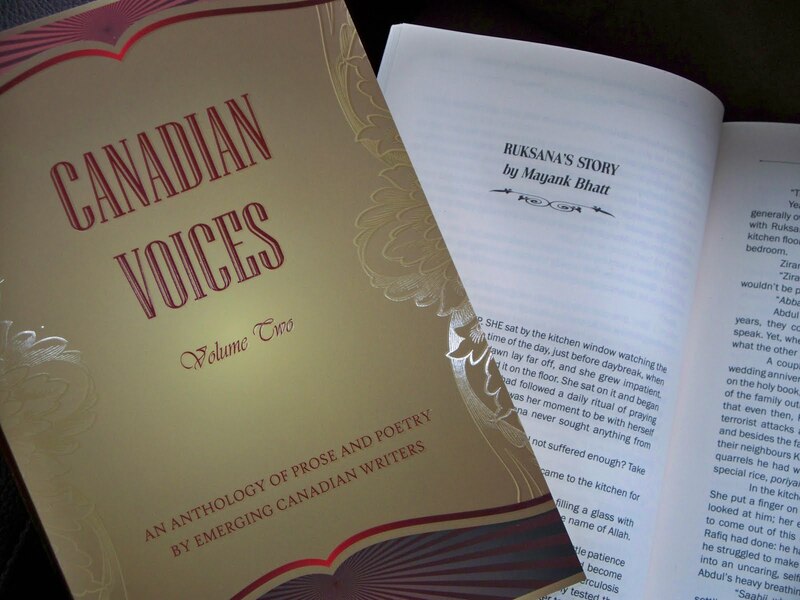 Canadian Voices is a powerful and moving collection of prose and poetry, which stretches across the boundaries of age, skin color, language, ethnicity, and religion to give voice to the lives and experiences of ordinary Canadians. This vibrant, varied sampler of the Canadian literary scene captures timely personal and cultural challenges, and ultimately shares subtle insight and compassion written by a wide spectrum of stylistically and culturally diverse authors. Canadian Voices is more than simply an anthology — it is a celebration of wonderful writing by some of today's finest emerging Canadian writers. 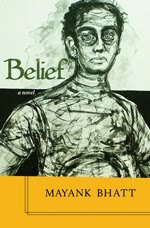 This book is an ambitious, lasting, and meaningful work of literature that will not soon fade away. It is an exceptional reading experience to be enjoyed and savoured.